Excuse me, aren't those "strike indicators?" Some of the best "bobbers" out there are your big foam hoppers and hippy stompers. Maybe to sound more sophisticated, they are actually "attractor flies." 1 user thanked WI-fly for this useful post. 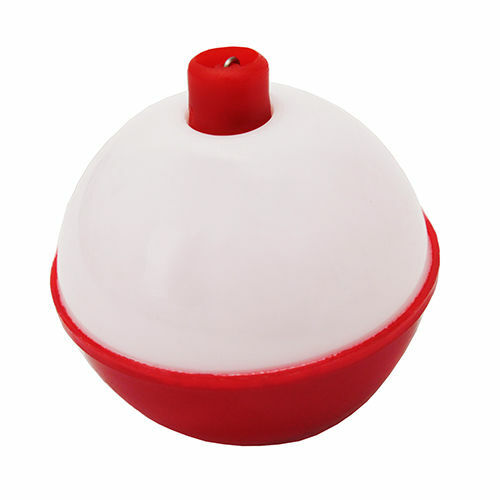 Always wanted to clip on one of those giant 3 inch red and white bobbers while fly fishing with a buddy, just to watch him freak out. When I first started to learn more about fly fishing, the "strike indicator" was pretty amusing. Not that I have an issue with using one but rather those few snobby fly fishers who look down on other types of fishing. "Wait... you do realize that you're bobber fishing, right?" 1 user thanked Gurth for this useful post. Out West, the unwashed rabble still call it a bobber, and it really does piss people off😂 I just refer to fixed floats as bobbers, and slip floats as, well, slip floats. I will, however, go full aristocrat and refer to my thingamabobber as an indicator, just to appease the fat liners on the Brule. I haven't done the steelhead thing up there in forever unfortunately. Nice to know it hasn't changed much I guess? I used to go up there with a guy who had an ancient, cheap 7w glass fly rod with a foam handle his dog used for a chew toy and fly line that was so worn out it was basically dacron. All he used were wooly worms with gobs of split shot on a straight leader of 8 lb mono. He'd march out into the stream with old patched up rubber waders, then piss off everyone within 100 yards by just lighting fish up. He knew right where to plunk those wooly worms, and my God could he catch steelhead. Watching him torture the guys that looked like they'd just stepped off page 32 of the Orvis catalog just never got old. Purists of any stripe amuse me. You can't believe some of the comment I get when people see me using a Euro Nymph rig. For some reason it really brings the hate from some folks. "That's not really fly fishing..."
Although now that I think about it, Euro style nymph fishing REALLY confuses things. We use strike indicators - but they don't float. 1 user thanked OTC_MN for this useful post. Being serious this time, when I do want an adjustable strike indicator I use the New Zealand indicator system. Works pretty well and is fairly easy to use. Basically, it's a piece of wool and a small section of plastic tubing. I like this a lot because it doesn't seem to twist too much in the wind and lands somewhat softly on the water. My favorite indicators as well. Quick on and off, easy to adjust size depending on how big a bug you're hanging and land quietly. I've just never got on the strike indicator bandwagon. It's less about philosophy and more about the style of fishing I prefer. Most of the streams I fish are pretty small and the depth can change dramatically in just a few feet - requiring constant readjustment of a strike indicator. I also like to cover a lot of water. Walk and cast, repeat. I rarely spend more than 2 or 3 casts in one spot. One moment I could be fishing in 3 feet of water, and the next step I'm working the riffles. Don't care to mess with adjusting the thing. Most of my nymphing is with a Pink Squirrel, which I tight line. I usually don't bother with slow water pools, so the fly is always moving in the current. I'll often just watch the knot where the fly line meets the leader. A twitch or a pause: set the hook. Small streams require accurate casts. Most strike indicators either foul up in the wind or mess up my accuracy. And of course, there's always that frustration when Trout ignore the fly, but love bumping the strike indicator instead. You really do need to get your hands on a Euro style setup and try it sometime. At a minimum, try a Euro style leader and sighter on your current rod. All the stuff you like about high sticking (no adjusting rigs, no hinging casts, efficiency), just more of it. Better able to fish at a little more distance, better drift control, better strike detection. Plus still lets you fish everything else - dry/droppers, dries, even streamers - without a lot of fuss. I've used a sighter with a euro rig, but it's really no different for me than just watching the fly line/leader knot. I've gone back to it sometimes when I fish bigger water, but most of the streams I fish are so small, the fly line barely gets on the water. On a similar subject, last year I cut all my 3x & 4x leaders down to six feet and went with a tippet ring and a short length of tippet the same weight as the leader. By keeping my leader to eight feet or less allows me better line and casting control. I didn't notice any problems spooky Trout with the heavier shorter line. On the rare occasion I fish dry flies, I switch the leader out to a eight footer with tippet ring and light tippet. Exception is when I'm chucking hoppers. Then I go with a shorter 3x leader tied directly to the fly. The stronger leader helps pull the fly out of stream side vegetation and other hang ups. The strikes usually come within moments of the hopper hitting the water, so light leaders and tippets aren't needed. This page was generated in 0.505 seconds.